Here’s what’s happening in the world of television for Sunday, October 14. All times are Eastern. 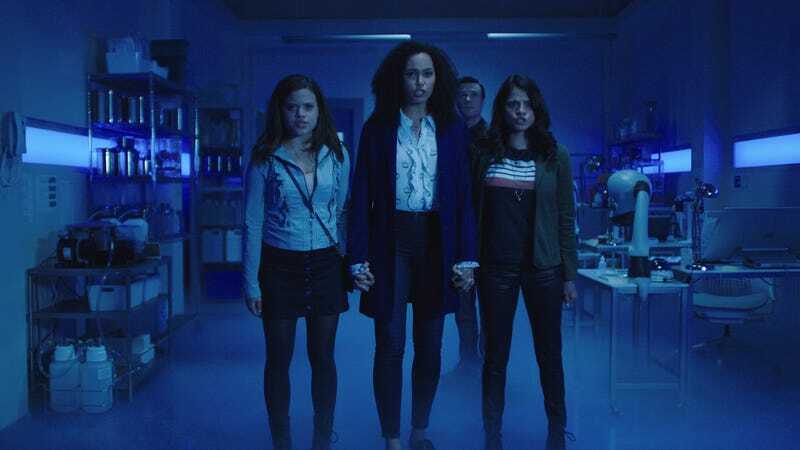 Supergirl (The CW, 8 p.m.) and Charmed (The CW, 9 p.m.): To say that Sunday is The CW’s new female-protagonist block would be inaccurate, because The CW has no shortage of central female characters. But it’s hard not to applaud the back-to-back placement of the returning Supergirl and the reboot of Charmed from Jessica O’Toole and Jennie Snyder Urman. Women with otherworldly abilities? Check. Sisters with vital, complicated relationships? Check. Male guardian figures who offer advice and guidance but who won’t always be involved in saving the day? Check. (We missed you, J’onn J’onnz.) An underlying theme that, while these women are powerful alone, they are more powerful together? Check. It’s a good match, is what we’re saying. And it should make for a good evening of television and an equally good evening of reading about television, as Caroline Siede and Kayla Kumari Upadhyaya will be summoning the strength to write up whatever ensues. Anthony Bourdain: Parts Unknown (CNN, 9 p.m.): This week’s episode of the final season of Parts Unknown is called “Bourdain’s Impact,” and as you might expect, its focus is on the man who was its star, rather than the people who populate the kitchens and towns into which he wandered. It’s the first of two planned specials that will air this season, and you can catch a brief clip of it here. Settle in to watch with something delicious to eat, maybe a beer, and if you’re wise, a box of tissues.